Grupa Warszawa was established in 2008 with an opening of a café-bar whose aim was to promote new culture and art. Inevitably this led to company growth towards gastronomy management and comprehensive event management. These days Grupa Warszawa runs various types of gastronomical venues and aims at expanding that portfolio. As a shareholder of MD4, Grupa Warszawa is also involved in film production. 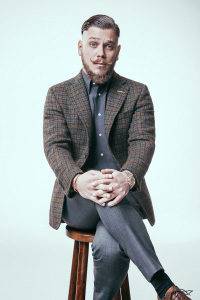 As Grupa Warszawa’s founder, I am characterized by restlessness in business. I enjoy creating fine things. Whether that means clubs, restaurant, films or mobile phone games is of no importance. What matters is that they bring joy to people. That is the keystone of my success. I am a firm believer in undertaking new challenges and overcoming weaknesses as a crucial element of one’s development. I spend my free time surrounded by friends and family, throwing parties or cooking for them. At the weekends, I get out of the city to make bonfires, enjoy nature and do all sorts of extreme sports. I returned to Warsaw from New York to create something cool and worthwhile. I have always had a deep interest in art: I used to create it and these days I collect it. My zeal for business stems from my home where I was given the finest examples. With my experience I have learnt that it is the most unexpected combination that brings about the most fruitful effects. Since art and business are best mixed in cooking, it is cuisine that delights me most with all fancy experiments giving rise to an outcome that is pleasing to the palate. I joined Grupa Warszawa in 2011. Having gained experience in other fields of business, I wished to contribute to building modern Warsaw deriving inspiration from the all over the world. I adore building relationships with clients and co-workers: that is what energises and drives me. All forms of improving and optimising the business give me pure delight: whether it is coming up with simplest solutions or, on the contrary, adopting the latest technology. Going to the gym is my source of energy while target shooting gives me an outlet for it. 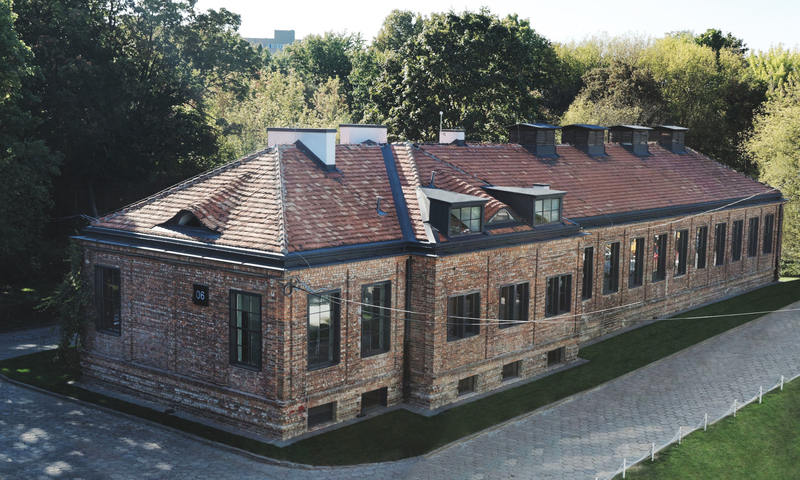 Szarotka – a venue for hire – is located in a brick building of ZARAT, a former covert broadcasting radio and TV station, and based in the picturesque surroundings of Mokotów Fortress. A signature building paired with professional service and attention to detail is our recipe for success. Having organised events for years, we can boast a wide range of services required to cater for any occasion including fashion shows, conferences, wedding receptions, business events, or film sets. 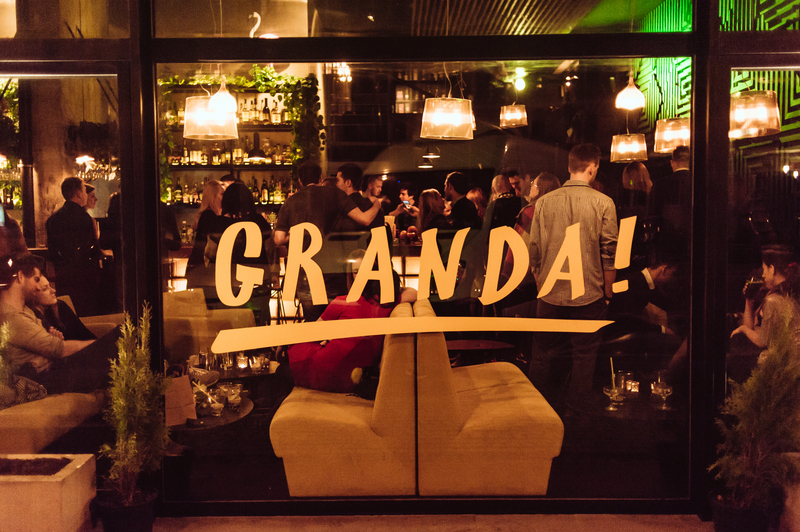 Granda is a bar located at the city’s heart. Its grand glass facade gives in to buzzing Krucza street, one of Warsaw’s dining arteries. Thanks to an atmospheric, yet easy-going interior, everyone can make themselves at home. The idea is based on guest – bartender interaction, so there is no typical menu and each cocktail is tailored to one’s needs and preferences. Biała – zjedz i wypij (White – eat and drink) is a restaurant serving modern Polish cuisine. Situated in the building of an avant-garde modernist villa, formerly called “The White Villa”. Painstakingly renovated venue offers three bars and an open kitchen. Guest can choose from two floors, VIP area with a fireplace, the garden and a rooftop terrace with views of the entire neighborhood. Zorza is a modern bistro with an adaptive menu that allows for meal combinations proper for a given time of day or occasion. Zorza serves breakfasts, lunches, dinners as well as snacks, coffee and cocktails. Located in Warsaw’s high street – Żurawia – Zorza is a place for meetings from early dusk till late night, 7 days a week. WELES is a mysterious cocktail bar hidden behind an inconspicuous door with no sign on it. Upon stepping inside, patrons enter a mysterious vault where they can taste the concoctions prepared by Warsaw’s best cocktail bar staff. The cocktail bar owes its name to the Slavic god Veles, the patron of magic, music and wealth. Situated in a refurbished former cash desk building, it has sparked a public conversation about the legacy of the capital’s modernist architecture and has redefined the urban public space. Due to its multiple artistic and cultural events it was soon given ‘cult status’ and has became an alternative symbol of Warsaw. SYRENI ŚPIEW is the first whisky & cocktail bar in Poland with live music. Its location in a modernist building among park trees is of great significance as it has become the most chic club on the nightlife map of Warsaw. The attention to detail, it’s tipple selection and a handpicked music program are among the main reasons for its popularity. This venue was open from 2012 until 2017. In 2013 we created the first creative concept of Stacja Mercedes which became the benchmark for following editions. As Grupa Warszawa we were responsible for the concept and realisation of gastronomy, events and PR for the project assigned to us by Mercedes-Benz Poland. We showed a fresh and conscious approach towards marketing leading to distinguishing the project with the Golden Arrow award and nomination for the European Excellence Awards. Venue was open in the summer of 2013, 2014 & 2015. 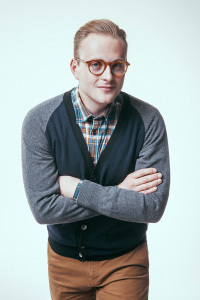 MD4 is a production house that gives young directors a chance to make movies. The outcome is visible in renowned Polish films such as ‘Baby Blues’ or ‘In the Name’ that were later both awarded at Berlin International Film Festival. 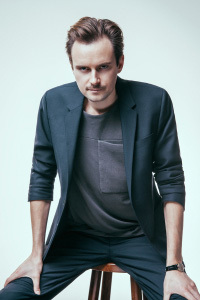 MD4’s main goal is to make world-class films while maintaining their local Polish character at the same time.